DeeDee Trotter is an American track & field athlete. 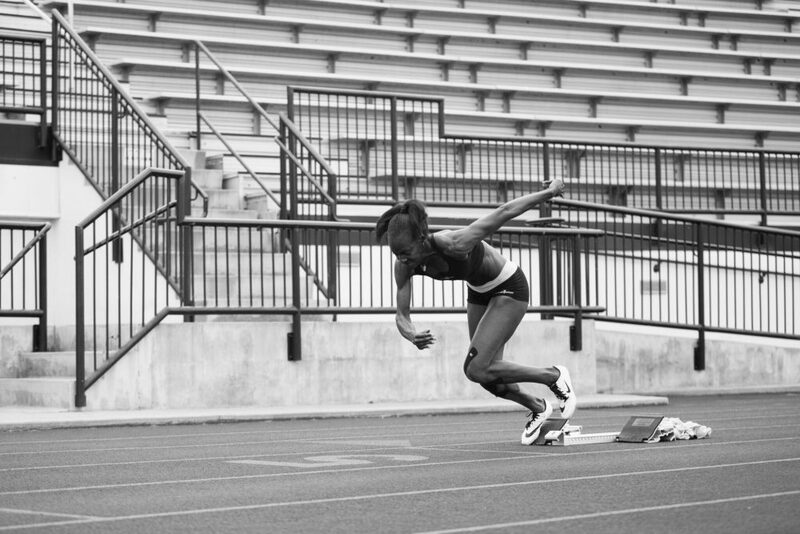 Trotter is a former NCAA national champion in the 400m, and competed in the 2004, 2008, and 2012 Summer Olympics. There, she was a two-time Olympic gold medalist in the 4 × 400 m relay (2004 and 2012), in addition to a bronze medalist in the 2012 400m event. She placed 5th in the same event in 2004. Trotter is currently a brand ambassador for international company Education First, and a global motivational speaker. Being a fantastic Track & Field Athlete, Deedee Trotter joined Namita Nayyar, President Women Fitness, in a candid conversation on her life and journey as an Olympic Athlete. You have been a three-time World Champion as a member of the 2003, 2007 and 2010 4x400m relay teams, a three time 400m U.S. Champion and a three-time Olympian, which is an accomplishment that ranks you amongst the greatest female athletes in the world. Tell us more about this spectacular journey and how it all began? For many that have accomplished what I have of the sport, it started as a child a dream but for me my dreams and intentions were never really to be an Olympic Track Star. When I was younger I only had dreams of playing basketball, specifically playing for the late and great Pet Head Summit of the University of Tennessee. It was her program and example if greatness that put me in pursuit of attending college and becoming a winner. Ultimately I would take a track and field scholarship to the University of Tennessee and I would never get an opportunity to play basketball, however my talent in track and field quickly launched me on to the big stage and by my sophomore year I had made my first world championship team in 2003 and a 2004 during my junior year I became the NCAA Champion, Olympic Gold medalist in the 4x400m relay, and the first University of Tennessee Lady Volunteer to turn professional before my eligibility was concluded in any sport. Everything that occurred beyond that point would be a combination of the same equation hard work, perseverance, dedication, determination, focus and never give up mentality.